Today I am loving Etsy seller PeriodicallyInspired. This shirt is $16. Plus, free shipping though V-Day. Buy here. More smartypants gear from PeriodicallyInspired. Every once in a while I visit a repurposed space that wows. That is how I feel about Boston’s Liberty Hotel. The Beacon Hill landmark is an excellent example of preserving history and architecture while creating a modern space that is fully utilized. Formerly the Charles Street Jail, the building was remarkable at its completion in 1851, with four wings extending from a 90-foot rotunda and cupola. Today the atrium space remains striking, with the original 30 oversized, arched windows bringing (moon)light to the lobby and bar area. You can also see steel bars and other vestiges of the early jail cells. A luxury property, the Liberty Hotel may be out of budget for some. But no matter how imprisoned you are by your salary, it’s well worth a visit just to have a drink—or a meal in the CLINK. Just got back from the Bahamas where the highlight was a day trip we took away from bustling Nassau to a tiny private island in Exuma. It took about an hour via speedboat. We fed grapes to iguanas, pet sting rays and witnessed shark-wrestling (and then watched unsuspecting snorkelers float a few feet away from those same sharks)! The company Power Adventures also hosts private events on the tiny island: an all-inclusive wedding for 50 people is $15,000, including transportation. Pretty reasonable considering the location, scenery and amazing fresh food (and endless rum). And with a private guest house, the newlyweds—or anyone, really—can sleep over for $250 a night! Approaching the island from the speedboat. Looking out at the Caribbean Sea. Another gorgeous view from a bit higher up. A friend turned me onto the New York Public Library last year and it’s so convenient! Everything can be done online: You can search the catalog, reserve a book and request delivery to any branch in the city—for free. 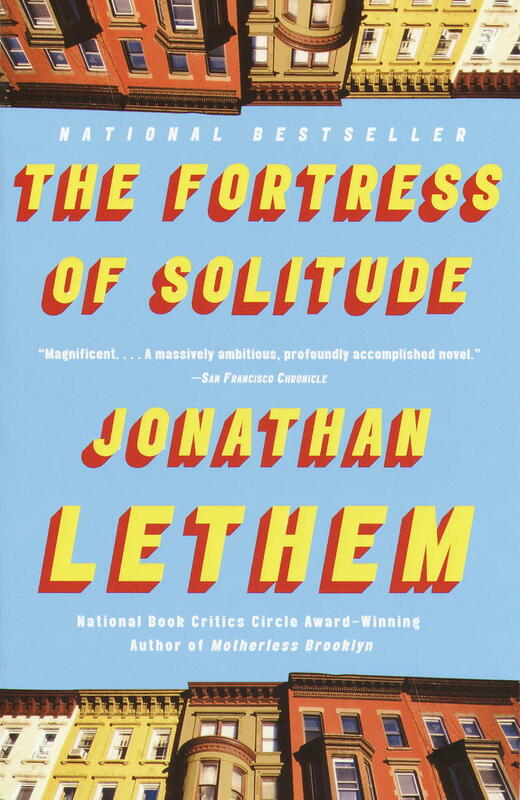 My latest “borrowing” is Jonathan Lethem’s The Fortress of Solitude, which is set in 1970s Brooklyn and spans two decades. It’s the story of two motherless boys—one white and one black—and how their friendship changes over time. I’m only about 100 pages in but am loving the characters, descriptions of NYC and exploration of race, gentrification, music.